Summit County Open Space and Trails department saw a very productive 2018, increasing the community’s protected wilderness and extending the county’s rambling trail network for the public to see, smell and hear more of the High Rockies paradise. Together with the support of its partners, Summit County manages more than 100 trailheads for convenient access to the county’s bountiful, outdoor recreational opportunities. Last year, Summit County Open Space invested $3.5 million for 1,257 acres, through 20 land transactions incorporating 17 property acquisitions, a trail easement, a conservation easement and a covenant. In addition, $1.5 million arrived in matching grants and funds, measuring 2018 as one of the biggest years in terms of land acquisitions since 2005, and one of the best years overall. The largest land acquisition of 2018 was the conservation of the Knorr Ranch located on the shores of Green Mountain Reservoir, near the town of Heeney. Years of negotiations between Summit County and the original land owners lead to a double-swap deal, esuring the 1,125 acres of Colorado agriculture heritage and wildlife habitat will be protected from commercial development. Since 1995, Summit County Open Space has spent nearly $35 million on 332 property acquisitions totaling 17,352 acres. Summit County Open Space also added 3,000 yards of new and resurfaced trails to its existing 38-mile recpath network. The Summit County recpath system sees 200,000 user visits a year, costing $200,000 for maintenance annually. 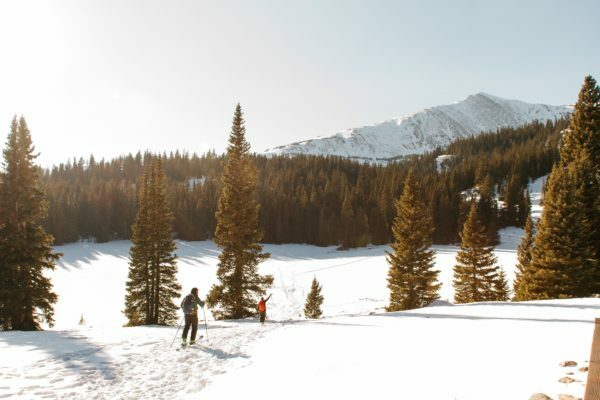 In 2018, Summit County extended their network by grooming snow on the recpath between Frisco and Breckenridge for non-motorized use, including hiking, nordic skiing and fat tire biking. Summit County also received grant money and donations from the federal government, state and local groups to start work on a connection between Copper Mountain and Leadville along Fremont Pass. Work on the 3-mile connection will begin this year.